Cleanup along Dryden Court in St. Louis two days after sewer backups triggered massive flash flooding in June 2011. Power outages at MSD's pumping stations caused the floods, but a new system to monitor the power for those stations is forthcoming. The Metropolitan St. Louis Sewer District says it will be developing a new system to monitor back-up power sources at its pumping stations. Massive flash flooding in June caused by inoperable gates at five of the agency's pumping stations forced people in the Penrose neighborhood in north St. Louis city out of their homes. Agency spokesman Lance LeComb says the gates didn't work because of a power failure - and backup batteries were out of juice. In addition to a system to monitor those batteries, LeComb says the agency will be looking at its staffing patterns. "Just to make sure that we're dealing with the priority systems in a systematic [way] and then work our way down the list so that the most important things get taken care of first and everyone knows what their role is in the event of something like that happening again," LeComb said. LeComb says money for the upgrades will come from the agency's general operating budget. He had no estimate on costs. Because the agency was at fault for the flooding it waived its $2,400 cap on damages. LeComb says officials are still tallying the total they'll have to pay out. 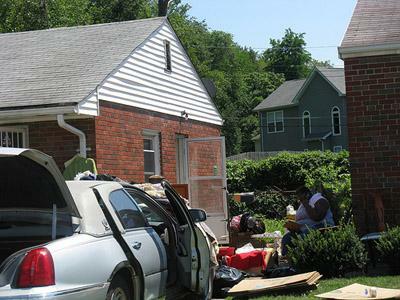 The Metropolitan St. Louis Sewer District has decided to waive its normal $2,400 cap for damage reimbursements and will completely pay for flood damage sustained June 25 by 70 specific homes in north St. Louis. Why waive the cap? Because the District has determined it is at fault. 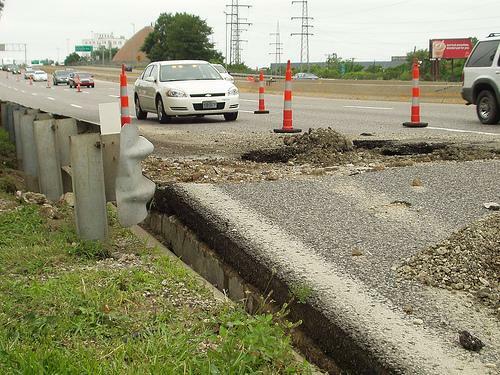 The Missouri Department of Transportation now says they will have to close the two right lanes of eastbound Interstate 70 at Shreve during Monday morning rush hour to repair a collapsed sewer line. That will leave one lane open between Shreve and West Florissant. MoDOT officials are strongly urging people to avoid the area.